I am going to find the fire dragon. He lives in a tunnel. He eats apples. The dragon makes a mess with his fire. 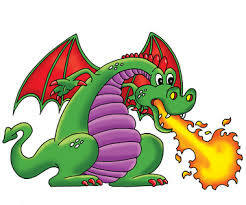 I just love dragons! Hope you find the fire dragon. Sounds like a great quest to go on.